You are the BOSS of the most powerful MAFIA GANG in Chicago and driving on the highway in your new Red Hot GTi Racer, when suddenly you notice POLICE CAR tailing behind. The cops have been tipped about your location by an old snitch and are desperate to arrest you. Do you have the MEAN DRIVING SKILLS to dodge the police once again! 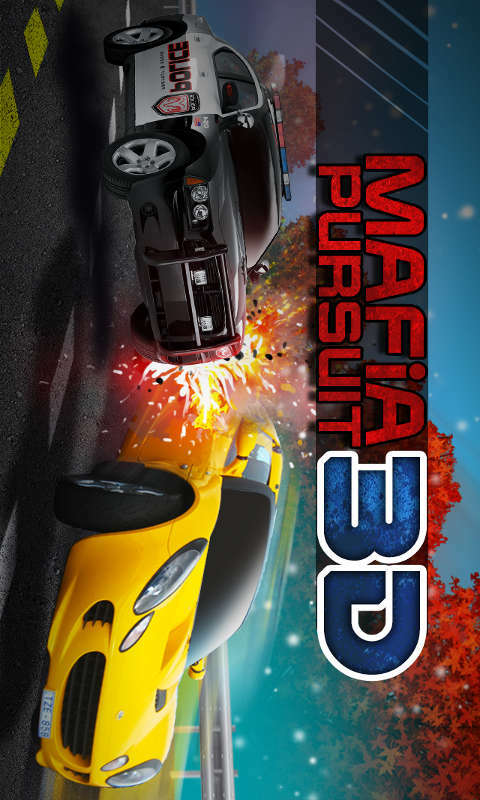 Mafia Pursuit 3D is a fast paced racing action game about driving at insane speeds on busy city highway road, and avoiding being caught by the crime department officers, who are chasing you in a hot pursuit. 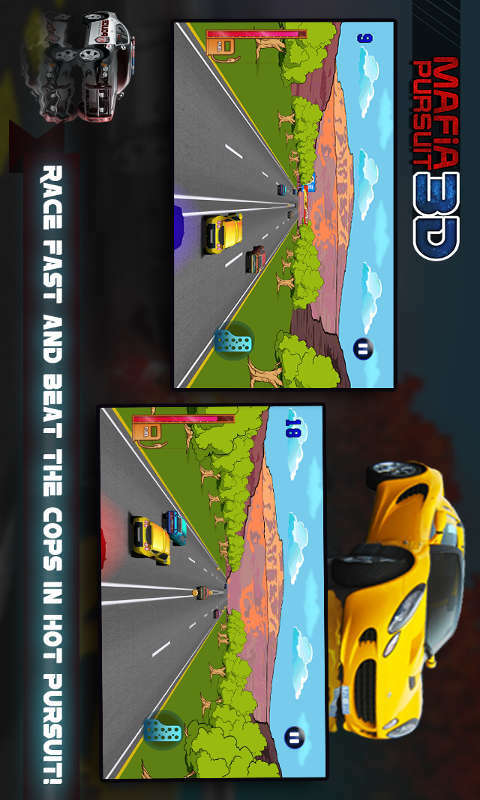 The game will put your driving skills to test, as you drive through the traffic and race fast to stay ahead of the cops. You will have the super turbo power car at your disposal, but you must drive carefully, as reckless hit with the other cars will result in police car getting nearer to you. Will the GANGSTERS reign supreme or the representatives of law and justice have the last word? 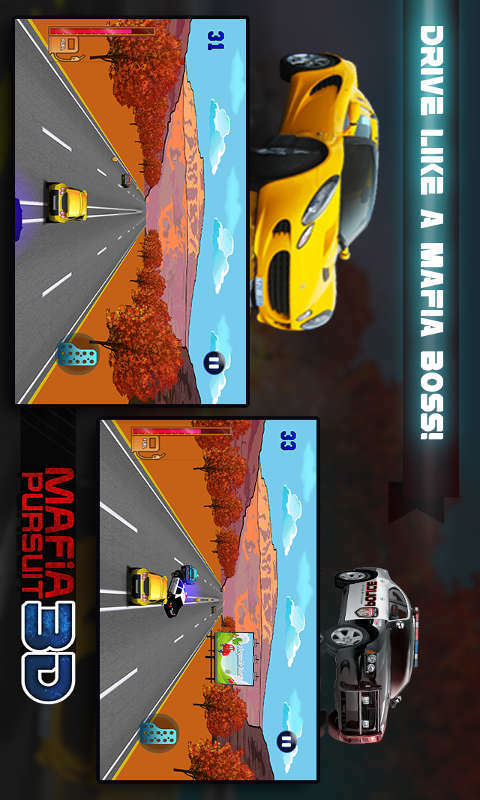 It’s a classic police against criminal car chase game.